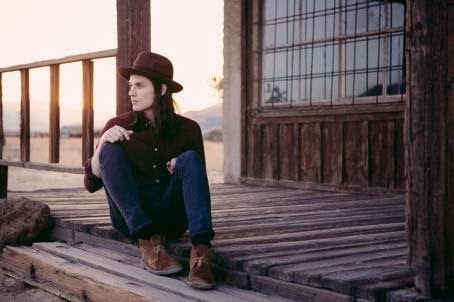 I was recently introduced to the British spine-tingling and oh-so-soulful indie-pop singer James Bay. His graveled tone, mellowness and boyish good looks had me at hello! I'm a sucker for a stellar success story and James Bay is just that ... discovered by Republic Records and signed after a fan uploaded a pub performance of his to YouTube. Jammy James! Originally from my neck of the woods, Hertfordshire, Hitchin to be specific he released his debut extended play, 'The Dark of the Morning' in 2013 and then a year later his second EP followed, 'Let It Go'.